The global focus on tax transparency and compliance is a result of the effort of governments and international organisations to combat cross-border tax evasion. The Foreign Account Tax Compliance Act (FATCA) and the Common Reporting Standard (CRS) are significant regimes that aim to combat tax evasion. We're committed to complying with the tax information regimes. Client Tax - explained Need more information on Client Tax? Common Reporting Standard (CRS), developed by the Organisation for Economic Cooperation and Development (OECD), draws extensively on the United States Foreign Account Tax Compliance Act (FATCA). It is a global tax transparency regime that seeks to combat tax evasion. It involves financial institutions collecting information about their clients and reporting this information annually to the relevant tax authorities. The tax authority may then exchange this information with the tax authorities of other jurisdictions (following any laws that apply). We're committed to complying with the regulations under CRS. CRS is a global standard for the automatic exchange of financial information between jurisdictions where it is in effect. The OECD introduced CRS in order to combat tax evasion and to improve cross-border tax compliance. Generally, it came into effect for early adopter jurisdictions on 01 January 2016 and in late adopter jurisdictions on 01 January 2017. Why are we complying with CRS requirements? CRS is a client tax information transparency regime that requires financial institutions to report on a person or company’s country (or countries) of tax residence. The Bank is required by law to comply with CRS in all jurisdictions in which it operates, and where CRS is in effect. Why are we asking for CRS forms from you? Compliance with CRS may require us to collect certain documentation from you, as our client, in order to establish your country (or countries) of tax residence. Your country or countries of tax residence. Where CRS reporting obligations arise, we may be further obliged to report information regarding financial accounts held by you to the designated local tax authority in accordance with local legislation of the participating jurisdiction where the financial account is maintained. The local tax authority may exchange this information with the tax authority of another country in accordance with relevant laws. What can you expect as a result of this regulatory obligation? You may be requested to provide us with a CRS form(s) to confirm your country (or countries) of tax residence. Further, where circumstances require, we may request additional information and documentation from you. This includes, in some cases, a new CRS form, even if you have submitted a form to us in the past. Generally, all new clients are expected to provide a CRS form to open any financial account with us. If you do not provide a CRS form to us, we may, in certain circumstances, decline any requests for new accounts, decline to enter into any further transaction with you, and/or close your existing account(s) with us. Please refer to our overview of the Self-Certification and U.S. Tax forms. Links to the forms are available below. Please complete the form that is appropriate to you. Once completed, please submit the CRS form(s) to your Relationship Manager or at one of the Bank’s branches in original or copy together with any supporting documents (as indicated on the relevant Form and its accompanying instructions). Nothing on this page constitutes tax advice. It's your responsibility to provide us with accurate tax information. For assistance in determining your country (or countries) of tax residence or in completing the relevant tax forms, please visit the OECD’s CRS webpage or seek professional tax advice or legal advice. Neither the Bank, nor any of the Bank's employees, are able to assist in these matters. FATCA is United States (US) legislation that came into effect on 1 July 2014 and that seeks to prevent tax evasion by US Persons through the use of accounts held outside the United States. FATCA is United States (US) legislation that came into effect on 1 July 2014 and that seeks to prevent tax evasion by US Persons through the use of accounts held outside the United States. FATCA requires financial institutions outside of the US to collect information about their clients’ tax status under FATCA and report annually, information on financial accounts held by US Persons to the US IRS or the relevant tax authority. Why are we complying with FATCA? Certain jurisdictions have entered into intergovernmental agreements (IGA) with the US and have legislated the FATCA requirements into local law. The Bank’s compliance with FATCA in each country will be in accordance with local law, or the FATCA provisions under the US law. Why are we asking for FATCA forms from you? Under the FATCA provisions, we are required to collect documentation from our clients, in order to establish their FATCA tax status. Whether you are a US Person. Where FATCA reporting obligations arise, we may be required to report, on an annual basis, details of your financial activities and/or certain income received to the US Internal Revenue Service (IRS), and/or other relevant tax authority. What can you expect as a result of the FATCA provisions? You may be requested to confirm your US tax status by submitting a FATCA form. Further, where circumstances require, we may request additional information and documentation from you. If you are requested to provide a FATCA form to establish your US tax status, please complete and submit the applicable FATCA form(s) as set out in the section ‘Download the FATCA forms’. We may be obliged to apply a 30% withholding tax on certain US-sourced payments made to you. Nothing on this page constitutes tax advice, but it does seek to draw attention to your responsibility in providing us with your accurate tax information. For assistance in determining your US tax status or in completing the relevant tax forms, please visit the US IRS FATCA website, or seek professional tax or legal advice. Our compliance with FATCA in each country will be in accordance with any Intergovernmental Agreement (IGA) that a government has entered into with the United States for the purposes of FATCA and in accordance with local rules that may apply. 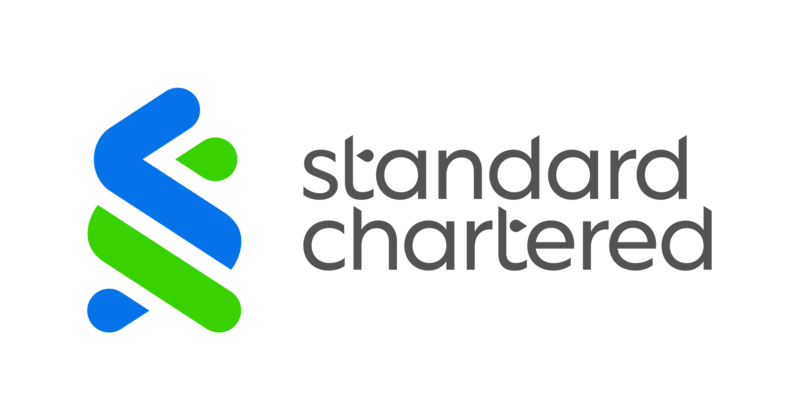 What is a Global Intermediary Identification Number (GIIN), and where can I find the relevant GIIN for a Standard Chartered entity? The US Internal Revenue Service (IRS) assigns a number to those entities that are participating in FATCA and involved in the annual reporting. This number is also referred to as a Global Intermediary Identification Number (GIIN). Please refer to our overview of the Self-Certification and U.S. Tax forms and complete the form that is most appropriate to you. Once completed, submit the form(s) to your Relationship Manager or at one of the Bank’s branches in original or copy together with relevant supporting documents, if required. For assistance in determining your US tax status or in completing the relevant tax forms, please visit the US IRS FATCA website, or seek professional tax or legal advice. Neither the Bank, nor any of the Bank's employees, are able to assist in these matters.